Perdana Trail, a history walkabout organized by Hotel Perdana Kota Bharu was supposed to show the participants the historical venues and tourist spots in Kota Bharu, but I gained more than that. Perdana Trail served me with a few history lessons and opened my eyes to a new view of Kota Bharu and Kelantan in general. Other than history lessons, Kelantan served us with food galore too! Hence the sudden increase in body weight too towards the end of the trip. Cerana Coffee House We were served with Nasi Dagang at Cerana Coffee House upon reaching Hotel Perdana Kota Bharu. Back in Kuala Lumpur, I will only eat Nasi Dagang once or twice in a month, just because it is quite hard to find the one that is to my liking and at times, the fish curry and the rice are just plain boring. Since it was still early in the morning to have such a heavy meal, I took a small amount of rice and a small piece of fish. Look at the small portion of Nasi Dagang that I took. After the first take, my feeling was unfounded as the Nasi Dagang was so different from what I have tasted in Kuala Lumpur. Somehow, it tasted yummier and not bland. And I ate another plate of Nasi Dagang after I finished the little portion, this time the portion was tripled. Nasi Dagang literally means "Trading Rice". It is a well-known breakfast food in Kelantan and Terengganu, but nowadays you can find it any time of the day. Nasi Dagang is a Malaysian and Southern Thai dish consisting of rice steamed in coconut milk, fish curry, shaved coconuts, hard-boiled eggs and vegetable pickles. The combination of fenugreek seeds and coconut milk gives Nasi Dagang its unique flavor and fragrance. There are two types of Nasi Dagang - the Terengganu version that uses normal white rice while the Kelantan variety uses 'beras nasi dagang' that is light purple in color and a little glutinous. I have had a bad experience while tasting Nasi Kerabu, back in Kuala Lumpur. 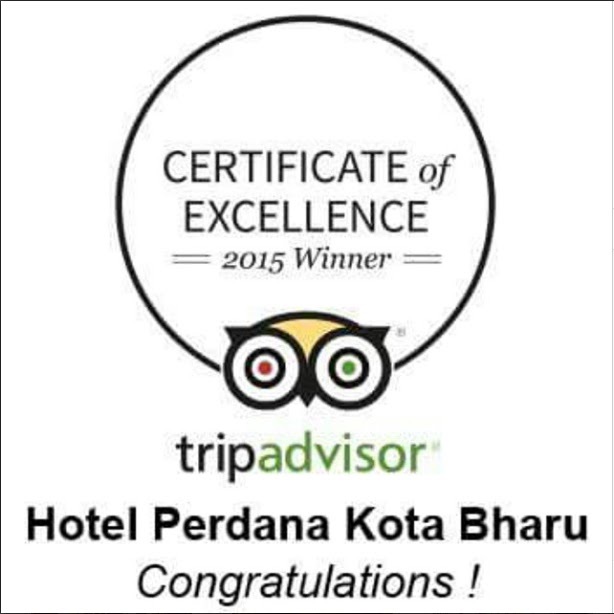 After eating Nasi Dagang on the first day at Hotel Perdana Kota Bharu, I know that Cerana's will not be disappointing. And I was right! Everything about this particular Nasi Kerabu tasted just right - the colouring does not seem to tamper with the taste of the rice, most probably because the use of kembang telang (butterfly pea flowers @ Clitoria ternatea) and budu just adds on to the magnificent taste of the rice. Not forgetting the local confectionaries served here - simply délicieux. I have almost forgotten about this amazing dessert at Cerana Coffee House. The tallest and largest ABC (air batu campur) by Cerana Coffee House is not to be eaten alone. Hehehe. ABC is also known by many names (shaved ice @ Japan, snow ice @ Thailand). It is a drink made from ice-machined and mixed with ingredients such as nuts, palm fruit, Fried, grass jelly, corn sweetener and syrup. eLeven Restaurant is located at the 11th floor of Hotel Perdana Kota Bharu. The chefs of Hotel Perdana Kota Bharu was kind enough to show us the process of cooking Jala Mas and Laksam, two among lots of local delicacies of Kelantan. Jala mas is a sweetened traditional Malay cake produced using the egg yolk cooked in sugar syrup. The process of cooking Jala Mas is simple and some of us were fortunate enough to be given a chance in cooking it. Laksam - the gravy was so tasty! Laksam is thick rolled up rice noodle served with thick gravy made of boiled fish and coconut milk. And if you are into spicy dishes, put in some (or lots) sambal [shrimp paste] into laksam. The thicker the sauce, the yummier is the taste. And the process of cooking Laksam was so simple and easy, as shown by the chefs. I may not be able to name all these tasty cakes but one thing that I know for sure, they were all so delicious that I just had to have second helpings. Later that night (the first night at Hotel Perdana Kota Bharu), we were treated to a Korean-style BBQ & Grill named Yeolhana Steam and Grill. Yeolhana is eleven in Korea. Coincidence much? I was shocked to see the vast variety of food displayed on the food counter. But being bloggers and most of us are foodies too, we spent almost a good 30 minutes taking pictures and videos of the food. There was a variety of meats, chicken and seafood that you could eat to your heart (ad stomach) content. All are fresh! The selection of desserts was also vast. My eyes went straight to the macaroons and immediately fell in love with them as I sunk my teeth into them! I am a sucker for macaroons! Everybody went to sleep, a very deep sleep with a full stomach! 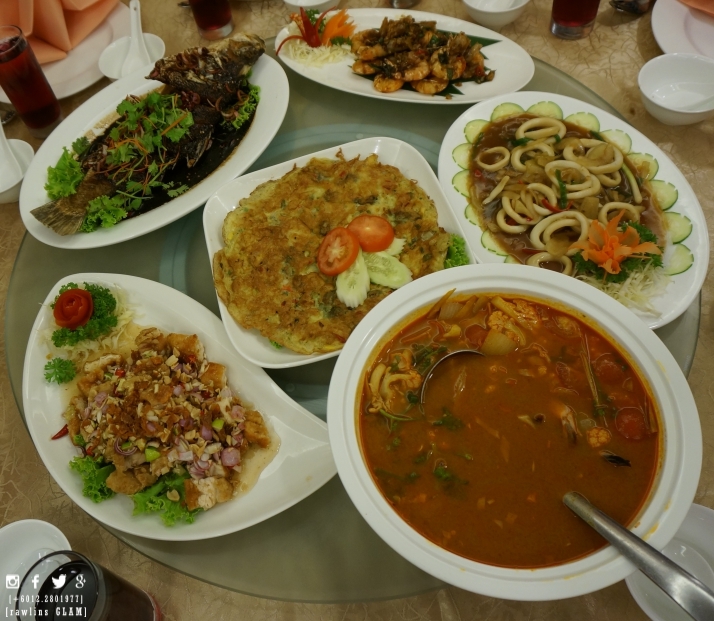 Jade Restaurant is a restaurant in Hotel Perdana Kota Bharu that features Chinese - Thailand fusion food. And, of course, the first dish that I tasted was its tom yam. Truth be told, the tom yam was the best that I have ever had. Everything was just right - the distinct hot and sour flavors and the fragrant of herbs added to the tastiness of the tom yam. The other dishes were equally tasty, if not more. If you are ever visiting Kota Bharu and have very limited time to spend looking for local delicacies, just stay at Hotel Perdana Kota Bharu because you will be spoilt for food choices at the three cafes - you will get the best of local and fusion dishes here at one place. 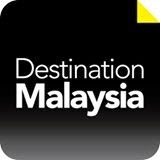 Thanks to Hotel Perdana Kota Bharu and Destination Malaysia for this wonderful and information info-vacation. Definitely the best vacation that I have ever had - the accommodation, the service, the Perdana Trail, the food and the hospitality is of the highest class. You totally deserved this. 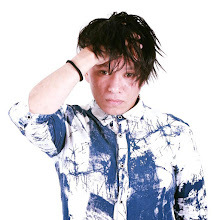 Congratulations!